Having a small kitchen isn’t the worst thing that can happen to a homeowner. Instead of longing for a more spacious cooking space, you can actually make the most out of what you have. In the past years, many homeowners have come forward to make their small kitchen spaces appear glamorous, more spaciously and definitely attractive. 2017 is no exception. Homeowners will get out of their way to embrace insightful small kitchen remodeling ideas. Just to ensure you are not left out, we have a list of trendy small kitchen ideas that will dominate 2017. 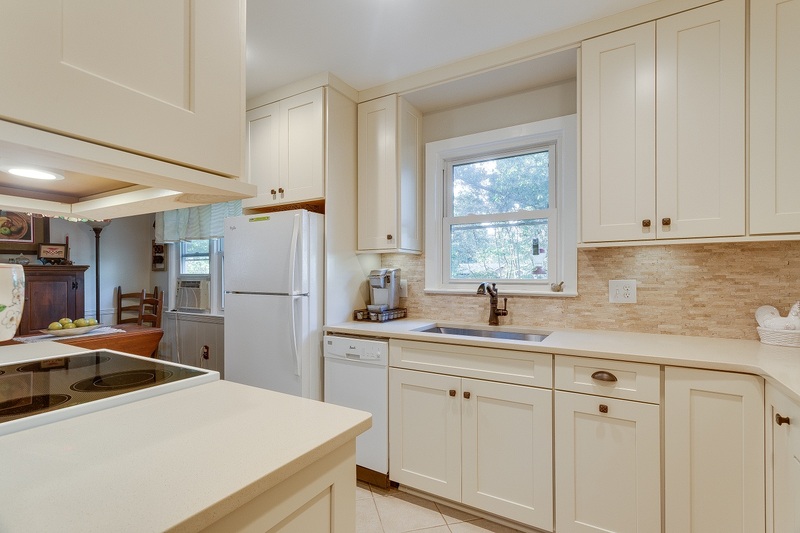 Solid cabinets tend to make the kitchen look compact and stuffed. Glass front, on the other hand, lightens the look of the cabinetry. They definitely allow your eyes to move through to the inner depths of the kitchen cabinetry. In effect, the kitchen appears more expensive. Most homeowners who have realized this seem not to be taking any chances. Just be sure not to clutter the interior of such cabinets with all sorts of cutlery and utensils. You might end up ruining the entire mission. There is nothing wrong with adorning your small kitchen in different shades. However, certain color blends seem to create visual boundaries, making smaller spaces appear even smaller. For your limited kitchen space, you need pale colors that will reflect light and make the kitchen feel bigger. That’s not all, however. Having such shades on both the wall and cabinets will work perfectly well for your space. In 2017, we expect more homeowners in Virginia to adopt this trend. You don’t have to be left out. Homeowners have come to realize that remodeling smaller kitchens is not all about changing the designs and altering the layouts. You can actually make the room feel more spacious by investing in slim chairs and streamlined stools. Furniture with thick bases and chunky legs tend to add visual bulk to smaller spaces. In the end, it might seem like your kitchen is smaller than it actually is. Take advantage of petite islands alongside narrow tables. They will save you substantial floor space, which you can use of for other things. For a small kitchen, storage space can be a major issue. Many homeowners are now coming forward to solve this menace differently. Think of putting together cabinets flush and shelving with the wall. It is a simple matter retrofitting recessed space. This trend will dominate smaller renovation of the smaller kitchen this year. With the help of kitchen remodeling experts, you can actually turn this idea into a lasting solution to your small kitchen problem. Essentially, you do not need a bigger kitchen space to feel comfortable. In 2017, you can make the limited kitchen space you have something worth talking about. All you need to do is to embrace insightful small kitchen ideas. EA Home Design experts can actually make the process easier by helping you with other design inspirations for smaller kitchens.